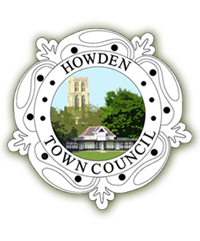 The Town Council is a statutory body which sits at the first tier of local government. Its purpose is to work towards improving community wellbeing and providing better services at local level. There are three main functions: representing the local community; delivering services to meet local needs; and striving to improve quality of life and community wellbeing. On other pages in this website you will see how the Council manages its affairs through a range of committees which cover planning issues, finance, and local amenities. 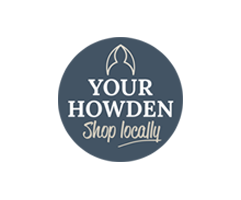 It also has links to local charities including the Ashes Playing Field Trust, the Shire Hall Trust, Howden Civic Society, and various other interest groups. The Council is elected every four years and the present term of office expires in May 2019. There are 13 members of the Town Council. The Town Council is a statutory body which sits at the first tier of local government. Its purpose is to work towards improving community wellbeing and providing better services at local level. There are three main functions: representing the local community; delivering services to meet local needs; and striving to improve quality of life and community wellbeing. On other pages in this website you will see how the Council manages its affairs through a range of committees which cover planning issues, finance, and local amenities. It also has links to local charities including the Ashes Playing Field Trust, the Shire Hall Trust, the Barnes Wallis Trust, and various other interest groups. The Council is elected every four years and the present term of office expires in May 2019. There are 13 members of the Town Council. Occasionally a vacancy arises if a member resigns, or for other reasons. The vacancy is advertised and an election may be requested by the electors of the town. If there is no such request the Town Council may co-opt to fill the vacancy and, again, this will be advertised and anyone who is interested will be encouraged to apply. Have resided within the parish or within 4.8 kilometres (three miles) of it during the previous 12 months. For further information about the work of a Town Councillor contact the Clerk.